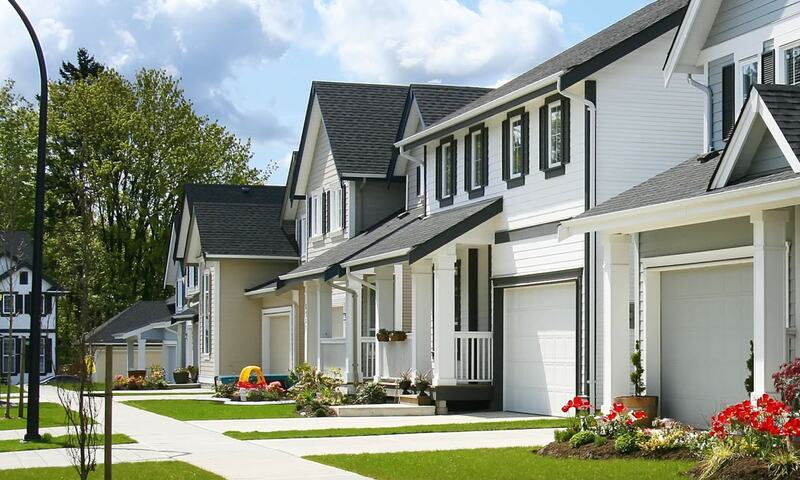 Giving your home a fresh new look with paint colour is a great way to upgrade the look of your house or condo. It’s an inexpensive upgrade compared to other home renovations and improvements. 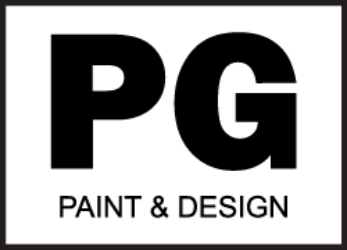 We want to help make the choosing of paint colours easier for you with the following tips. Tip 1. Go through the many paper or online magazines for ideas. You can create a scrapbook of paint colours you think you might want. Do you have a favorite shade of colour that jumps out at you from a pillow, blanket, carpeting or an accessory around the house. Snap a photo of it. Do you have fabric swatches, tiles, countertop sample or cabinet or furniture, flooring, carpeting pictures that you want the same colour of. 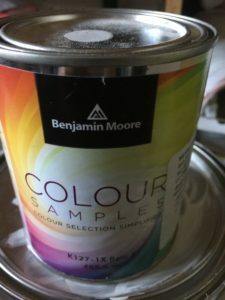 Any colour you love no matter where you get it from within your home or online you can take all your samples and pictures and ideas to any local Ottawa paint store and they will match that colour for the paint you want to use when painting a room or your entire house. Tip 2. You can buy a quart of paint in each of the colours you would like to see on your walls. Take note that if you are selecting more than 3 colours this alternative can be a little expensive. 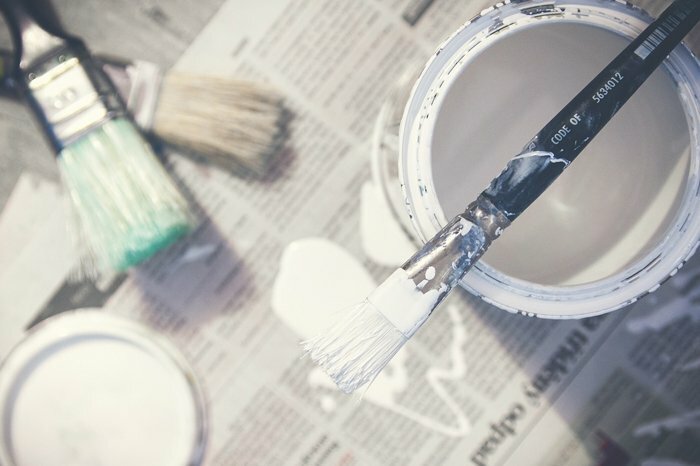 A quart of paint will cost you on average between $20.00 to $25.00, while a pint can of paint colour sample will cost between $7.00 to $10.00. Bring home paint colour chips you’ve gathered from the paint store and bring them home. Tape them up on the wall you want to paint. Make sure to leave it there for at least 2 to 3 days taking note of how the colour looks with natural daylight as well as in the evening with the interior lights. The colours will look different as lighting affects paint colours. Tip 3. Paint a sample of the colour with a paint brush or paint roller on the walls. We recommend painting at least two coats to make sure the existing colour is covered. Apply a third coat if the existing paint is still visible. 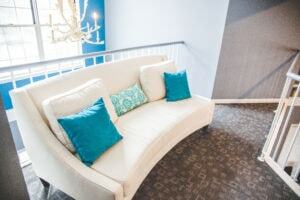 Paint a big enough area such as at least a 4′ x 4′ area of the wall. We recommend again you look at it during different times of the day with lights on and lights off to get a true perspective. Painting on a wall opposite a window in the corner of a room will give you a good idea. 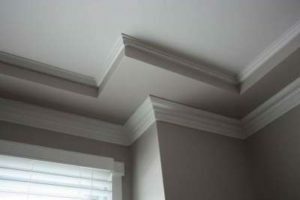 If you have any crown/cove moulding, baseboards, wood trim like wainscotting or chairrail try painting the sample as close to these features as you can. This will give you an idea what the colour will look like against it. The wood work like baseboards and trim are usually painted in whites or creams, and don’t forget the flooring, as there is colour in that too. If painting more than one colour for samples on the same wall, leave at least a space of approximately 3 to 4 feet in between each sample. This gives you a better focus on one colour at a time. Tip 4. If you don’t want to paint the walls, we suggest you buy a foam board. They are available at dollar stores in the Ottawa area. Paint the colour on the foam boards. Apply at least 2 or 3 coats of paint colour with brush or roller. These foam boards are usually about 36″ x 36″ and are great to give you an idea of what the paint colour will look like before you make the final choice. These foam boards also give you the opportunity to move the paint colour samples around the room or rooms in the house and shine different natural and artificial lighting onto them, so that you can see the difference. Larger than the standard paint sample chips makes choosing colours so much easier. 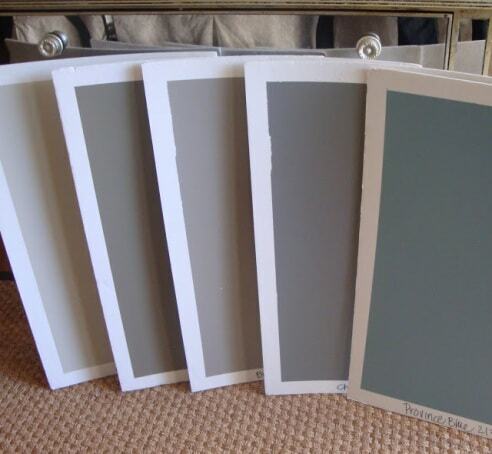 We hope you’ve found these 4 Tips on Paint Colour Samples helpful. Please give them a share.